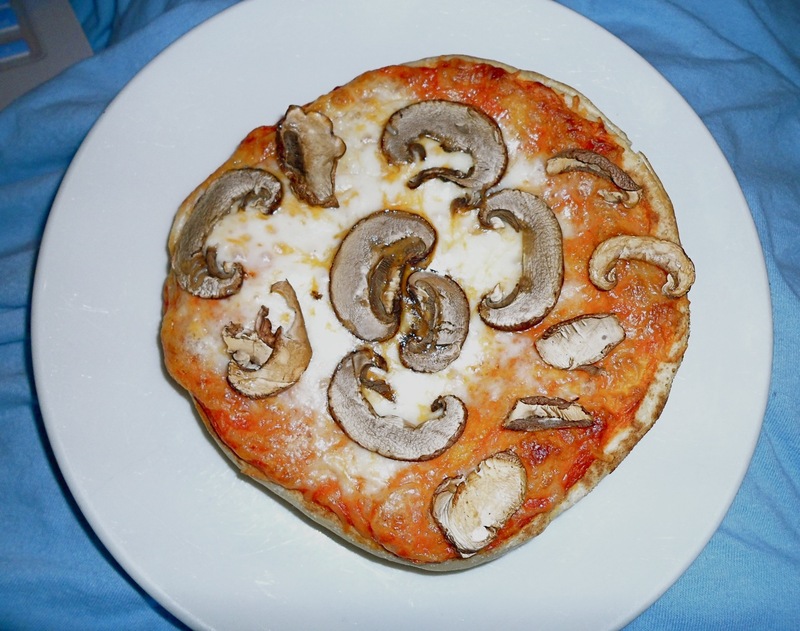 My Life with Interstitial Cystitis: Kat's Make-shift Pizza!!! Cow's Milk Feta --- make sure that the ingredients of the feta are okay - for one, make sure there is no citric acid in it because there is in some! 2) Cut all of the red peppers you would like to use in half and remove the seeds. 3) Use a small amount of grapeseed oil to grease the cookie sheet or pan you plan to use. 4) Place all of the red pepper halves on the cookie sheet face up. 5) Mix together grapeseed oil and sea salt and brush the oil and sea salt mixture on all of the red pepper halves. 6) Stick them in the oven and let them roast for approximately 45 minutes. Option A: Make the pizza sauce with the red pepper skin on. Option B: Peel the red peppers for the sauce: If you choose this option, cover the peppers as soon as they are out of the oven and let them sit for 10-15 min. Then peel them with a paring knife. 8) Place several of the red peppers into a blender (depending on how much you want to make, you might be able to fit all of them in the blender, or may have to make several separate batches). 9) Add some IC-safe broth (see previous post for recipe) so that the red peppers will puree nicely. 10) Puree the red peppers and broth together. 11) Add some feta and puree the red peppers, broth, and feta together. 12) Then, it becomes a juggling act between putting more broth and feta in, so you'll have to do several taste tests as you go along, until you find an appropriate consistency and a flavour you like. Generally if it's not salty enough, I add more feta. I don't add more sea salt as the feta/red pepper ratio is very important to how it tastes. Don't forget to take your Prelief and/or lactaid for the taste testing. Et voila! You have just made Kat's Make-shift Pizza Sauce! I make tons of this at a time and separate it into small containers to freeze. It freezes perfectly and I usually only have to make a big batch of it every few months. Tomatoes are so last year, didn't you hear? Red peppers + IC = a pain-free option for you and me! 2) Take your safe-ingredient pita and put it on a pizza pan (Stay away from big brand names such as Dempsters because they always have ingredients in them we can't have --- a basic ingredient list to search for is one listing flour (unbleached, whole wheat, etc. ), water, sometimes sugar, salt and yeast). I find that if it is the last ingredient and there aren't any other problem ingredients in it, that I can tolerate (with Prelief of course!) calcium propionate in my pitas. 3) Take a spoon and spread some of Kat's Make-shift Pizza Sauce on the pita (everyone will have a preference about how much sauce they like on it, but I personally enjoy enough so you can't see any white parts of the pita under it). 4) Cover the sauce with mozzarella cheese (personally, my favourite is Black Diamond Sargento Pizza Mozzerella) but be careful to check the ingredients of the cheese because they will often have something in there that doesn't need to be in there such as soy, citric acid or other unnecessary additives and/or preservatives, or they may even slip in other types of cheese that we can't have so look for purely mozzarella. 5) Cut up some organic mushrooms and put as many as you'd like on the pizza. 6) Put it in the oven and cook for approximately 10 minutes, but check it a few times along the way as every oven is different and everyone will have a preference to how cooked they like their pizza. 7) Take it out of the oven, cut in slices, take your Prelief and/or lactaid and enjoy! This is one of my favourite make-shift meals and I hope you like it too. Please let me know if your elimination diet allows you to eat it and if it doesn't, please let me know what ingredients you can eat and I'll try to come up with an Ultra-Make-Shifted version for you. Also, please let me know how you like it! Thank you and I hope this recipe helps you enjoy something you thought you'd never be able to eat again and something you can eat that looks very normal to outsiders. Bon Appetit!